The Town Hall is a Grade 1 listed building situated in the heart of Newark overlooking the Market Place. Situated on the 1st floor is the Civic Suite of rooms which provide a suitable venue for any event. 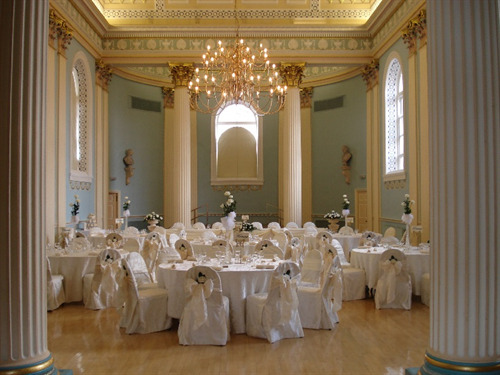 After your Wedding Ceremony whether it be held here at the Town Hall, a local church or another venue why not hold your Reception in the beautiful 18th Century Georgian Ballroom which can accommodate up to 140 people seated. For a smaller more intimate gathering the Council Chamber which has access onto the balcony overlooking the Market Place is a more suitable room. This room can accommodate a maximum of 50 seated as formal dining layout. In order to give you greater choice when organising your event we have a well equipped kitchen in which the caterer of your choice can prepare your chosen meal. 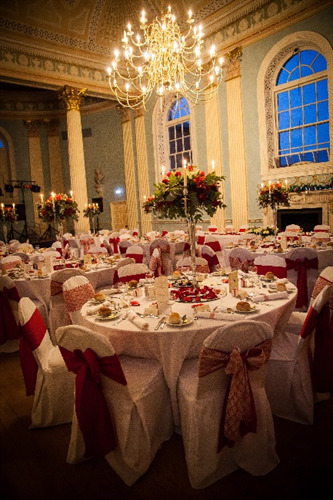 The Town Hall also offers a fully serviced bar and stocks a comprehensive selection of wines.